Step off the beaten path and head to Shelly Beach and Speed Boats Tours. 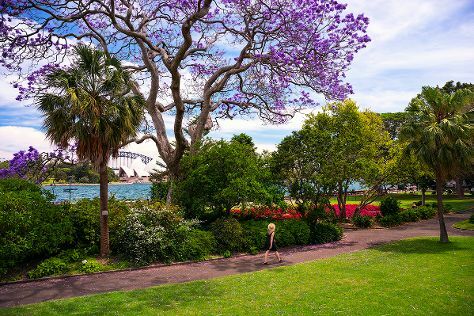 There's still lots to do: admire the natural beauty at Royal Botanic Garden Sydney, meet the residents at Sea Life Sydney Aquarium, wander the streets of Darling Harbour, and admire the landmark architecture of Sydney Opera House. To see more things to do, other places to visit, where to stay, and tourist information, you can read our Sydney trip itinerary builder . Colombo, Sri Lanka to Sydney is an approximately 16.5-hour flight. The time zone changes from India Standard Time (IST) to Australian Eastern Standard Time (New South Wales) (AEST), which is usually a 4 hour difference. Expect little chillier temperatures when traveling from Colombo in March; daily highs in Sydney reach 30°C and lows reach 22°C. Cap off your sightseeing on the 5th (Tue) early enough to travel to Melbourne. 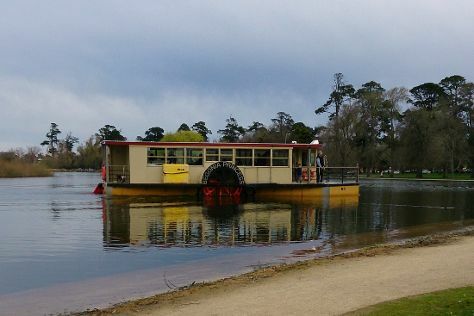 You'll discover tucked-away gems like Lake Wendouree and Werribee Open Range Zoo. Venture out of the city with trips to Art Gallery of Ballarat (in Ballarat) and Eastern Beach Reserve (in Geelong). Dedicate the 10th (Sun) to wine at some of the top wineries in the area. There's lots more to do: take in nature's colorful creations at Royal Botanic Gardens, contemplate the long history of St. Patrick's Cathedral, take in panoramic vistas at Melbourne Star Observation Wheel, and admire the landmark architecture of Shrine of Remembrance. To find maps, reviews, and more tourist information, use the Melbourne itinerary planner. Traveling by flight from Sydney to Melbourne takes 3.5 hours. Alternatively, you can do a combination of flight and shuttle; or drive. Traveling from Sydney in March, expect a bit cooler with lows of 15°C in Melbourne. Finish up your sightseeing early on the 10th (Sun) so you can travel back home.